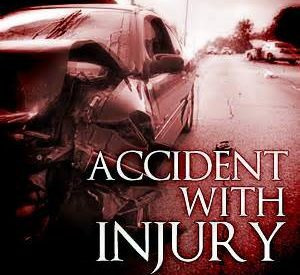 Friday morning at approximately 8:04am Seward County Sheriff Deputies along with Seward County EMS and Fire Rescue responded to an injury accident East Hwy 54 mile post 8. A 2005 Pontiac Grand Prix driven by Allen Semisch from Plains was traveling West bound, when he hit approximately 6-8 inches of standing water across the roadway and began to hydroplane, running into a East bound Fed Ex Semi truck. Semisch was transported to SWMC by Seward County EMS for his injuries. The driver and passenger of the semi were not injured. Both vehicles were towed from the scene.